The Department of Veterans Affairs has named Dan Galik to be the agency’s new acting chief information security officer, MeriTalk has learned. Galik, VA’s former Associate Deputy Assistant Secretary for Security Operations, will replace Stan Lowe, who announced his retirement on Aug. 7. Galik previously served as Chief Security Officer CISO for both the Internal Revenue Service and Department of Health and Human Services. 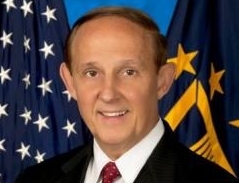 In May, former VA CIO Stephen Warren had appointed Galik to lead the agency’s Continuous Readiness and Information Security Program, known as CRISP. Join the conversation. Post a comment below or email me at dverton@meritalk.com.